Low Power Costs and High Reliability Help Attract $1 Billion Apple Data Center to N.C. Giving back to the community is a bedrock principle of our corporate culture. 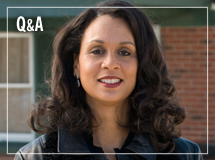 In the following Q&A, Alisa McDonald talks about the important role Duke Energy plays in supporting our communities – particularly during tough economic times. Q: How have the needs of the community changed in the last two years? A: The speed at which the economy deteriorated in 2008 had an unfortunate ripple effect on community organizations throughout the country. In many ways, 2009 was the year of the “community in crisis.” Funding for many nonprofits dipped – some by 40 percent from the previous year – just as demand for their services surged. Many are struggling to survive. While these are incredibly challenging times, it’s also an opportunity for a “rebirth” of sorts. Community organizations are learning to do more with less, by becoming more creative with their resources and partnering with other nonprofits. Q: How has the economy affected Duke Energy’s support? A: Duke Energy has stepped up to assist critical-needs community organizations. We have made special grants to help nonprofits in our service territories meet basic human needs – food, shelter, clothing and money to keep the heat and lights on. We’re also collaborating with other corporate charitable foundations to find ways to become more agile in addressing community needs. Q: What’s one recent example of community support that made you proud to work for Duke Energy? A: Even though money is tight for everyone, our employees, retirees and The Duke Energy Foundation gave $5 million to the United Way. Roughly 7,700 employees made donations of varying amounts, and more than 30 contributed more than $10,000 each. It’s gratifying to see our workforce recognize and help meet our communities’ needs at a time of great economic uncertainty. Q: How might Duke Energy improve its support in the future? A: We need to continue to be as strategic as possible with our giving. We can do this by more accurately assessing the outcomes of our philanthropic investments in the community and adjusting our support accordingly. Duke Energy must also seek out new opportunities for public/private partnerships and regional cooperation among companies, rather than waiting for those opportunities to come to us. In addition, we intend to stay on top of community needs in “real time” by actively convening and engaging key civic leaders and our nonprofit partners. Together, we can determine which efforts are working, what support is still needed, and how to pool our resources to best serve the community in a sustainable way.